What do you miss most when travelling abroad? With me it often had something to do with food. I lived in the US for nearly six years and I remember thousands of precious moments. However, one of the most exciting was the day we found a bakery that sold Jewish Rye Bread. What a joy to have found something that tasted like the bread at home!!! The subject ot this web site is about something which might be new to you yet miraculously make you feel at home. Try it, you might like it. The ears of spelt (triticum spelta) consist of only two rows of grain and it grows best on poor soil. Where no other grain will prosper spelt will do fine. 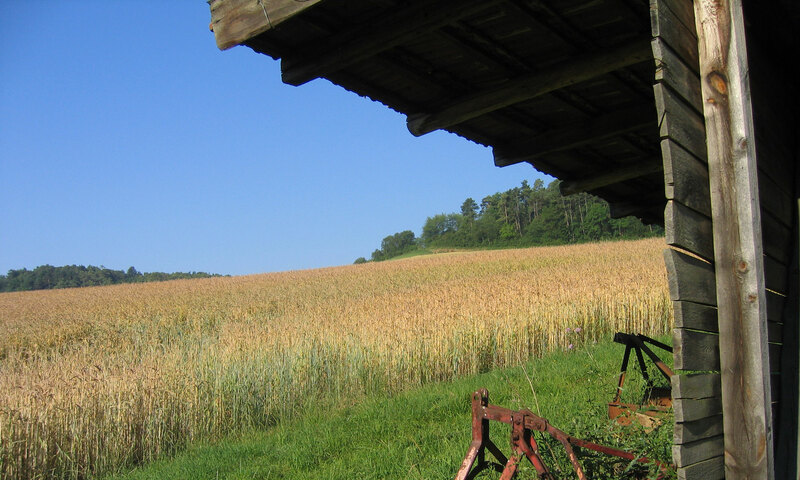 If you wish to make gruenkern from spelt you have to harvest it while the grain (Korn/Kern) ist still green(gruen). So a literal translation of gruenkern would be something like greengrain. Sounds good, doesn’t it? But how did people get the idea to harvest spelt in a green condition and roast it? That’s an interesting (hi)story!